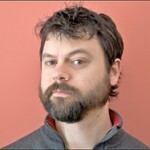 David Roberts is one of the nation’s leading environmental authors, and a staff writer for Grist. 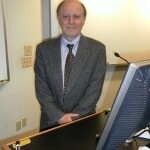 He spoke on the Politics and Policy of Climate Change as part of the Spring 2012 Sustainability Speaker Series. 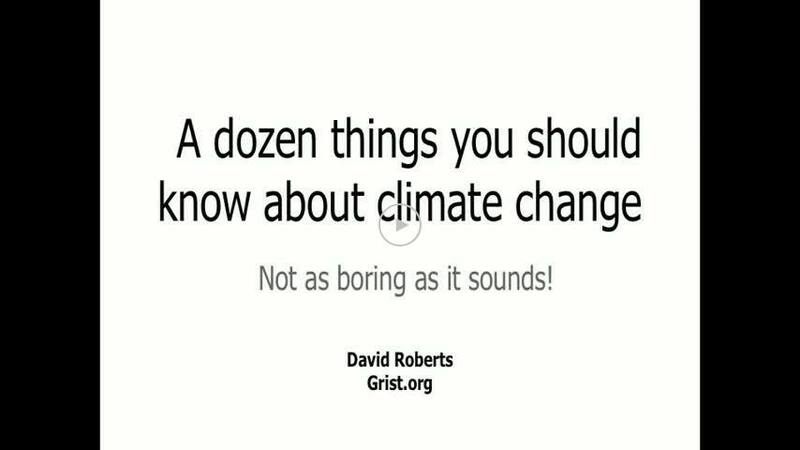 In his first powerpoint ever, Roberts presents 12 points of basic information on climate change are simultaneously hilarious and heart rending. His scientifically accurate yet culturally accessible exploration of the science and politics around anthropogenic climate change is a must-watch. Roberts tells the audience that as a mere blogger he can speak openly when scientists won’t tread for fear of being labeled alarmist or self-serving. His frank overview of current climate change science, in conjunction with the political atmosphere regarding mitigation, leaves the viewer with little doubt that “2°C is in the rearview mirror” in terms of an end to global temperature rise. Yet little climate modeling has been done for warming beyond that 2°C – possibly because scientists couldn’t believe humans would continue emitting green house gases after the science was conclusive? Roberts explores the sociological phenomena shaping America’s attitude towards climate change with conviction and humor. 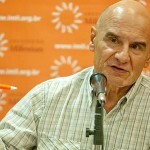 – Recorded Wednesday, April 4, 2012. Bill Lewis recently retired as a Senior Partner in McKinsey & Co. Inc. after 20 years with the firm. His responsibilities at McKinsey included being the Founding Director of the McKinsey Global Institute. Prior to McKinsey, he was Acting United States Secretary Of Energy and Principal Deputy Assistant Secretary of Defense. Earlier he served as Associate Provost at Princeton University and as Senior Financial Officer at the World Bank. He holds a Ph.D. in theoretical physics from Oxford University, where he was a Rhodes Scholar. He is a member of the Boards of the National Bureau of Economic Research, the Committee for Economic Development, the Monterey Institute of International Studies, the Community Hospital of the Monterey Peninsula, and the Santa Lucia Conservancy. He is the author of the book The Power of Productivity, University of Chicago Press, 2004.
newspapers interview Dr. Viola frequently. 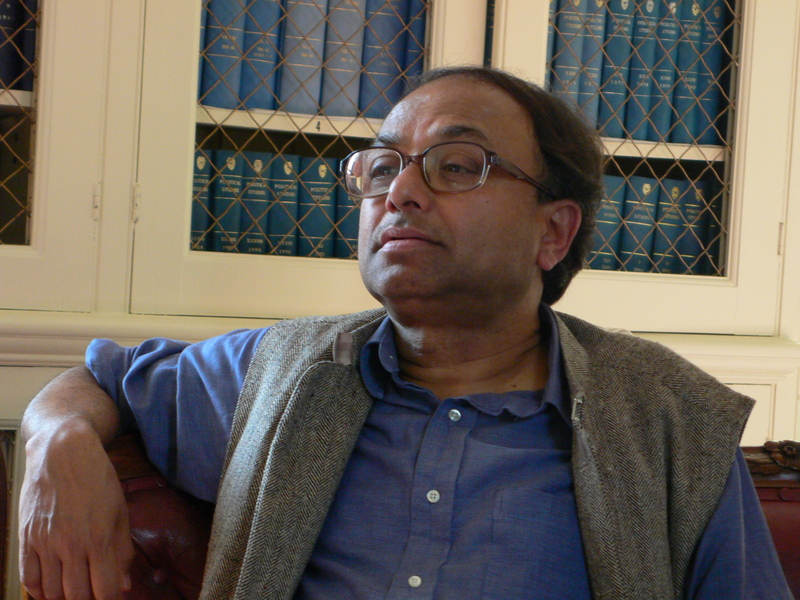 Professor Pranab Bardhan is Professor of Economics at the University of California, Berkeley. He was educated at Presidency College, Kolkata and Cambridge University, England. 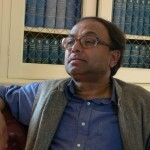 He had been at the faculty of MIT, Indian Statistical Institute and Delhi School of Economics before joining Berkeley. He has been Visiting Professor/Fellow at Trinity College, Cambridge, St. Catherine’s College, Oxford, and London School of Economics. 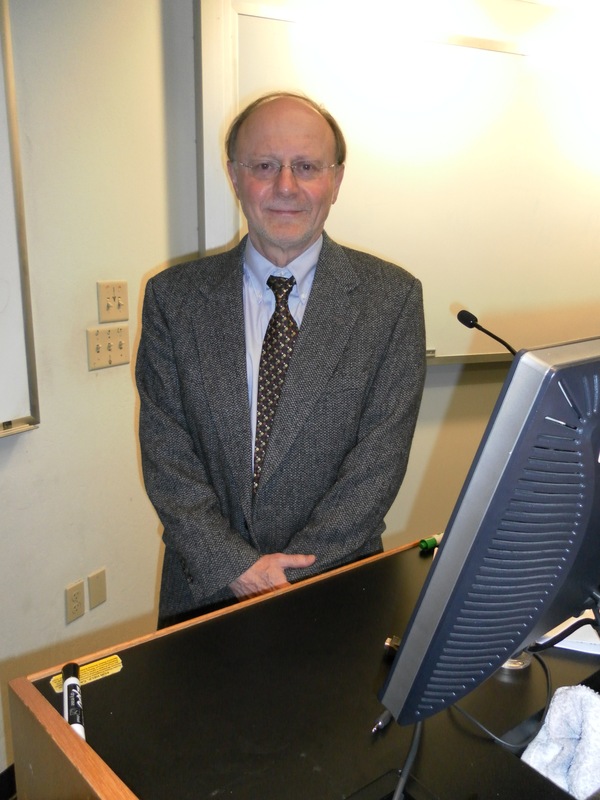 He held the Distinguished Fulbright Siena Chair at the University of Siena, Italy in 2008-9. 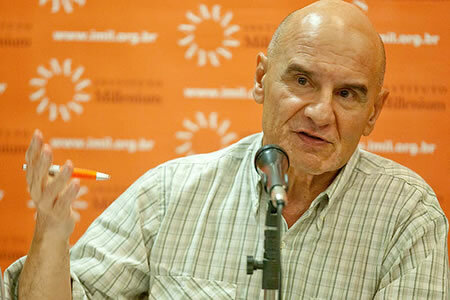 He is the BP Centennial Professor at London School of Economics for 2010 and 2011. Biography and photo from UC Berkeley website. 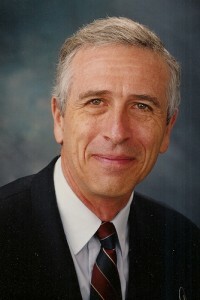 Professor Philip Martin is a professor at the University of California, Davis; chair of the UC Comparative Immigration & Integration Program; and editor of the Migration News and the Rural Migration News. He has consulted on migration issues with US and international organizations and has authored many books and articles on migration policy. Photo from UC Davis website. Financial liberalization in emerging markets: do the benefits justify the risks? Professor Joshua Aizenman joined the faculty at UCSC in 2001 following eleven years at Dartmouth College, where he served as the Champion Professor of International Economics. His research covers a range of issues in open economy including commercial and financial policies, crises in emerging markets, foreign direct investment, capital controls, and exchange rate regimes. He also serves as a Research Associate for the National Bureau of Economic Research. Other affiliations have included teaching and research positions at the University of Pennsylvania, the University of Chicago Graduate School of Business, and the Hebrew University in Jerusalem. Consulting relationships include the International Monetary Fund, the World Bank, the Inter-American Development Bank, and the Federal Reserve Bank of San Francisco. Biography excerpted from UC Santa Cruz website.